Correct "Bakelite" style Plastic Parts. 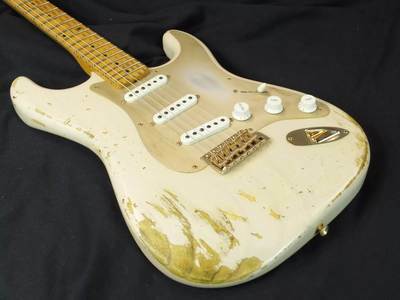 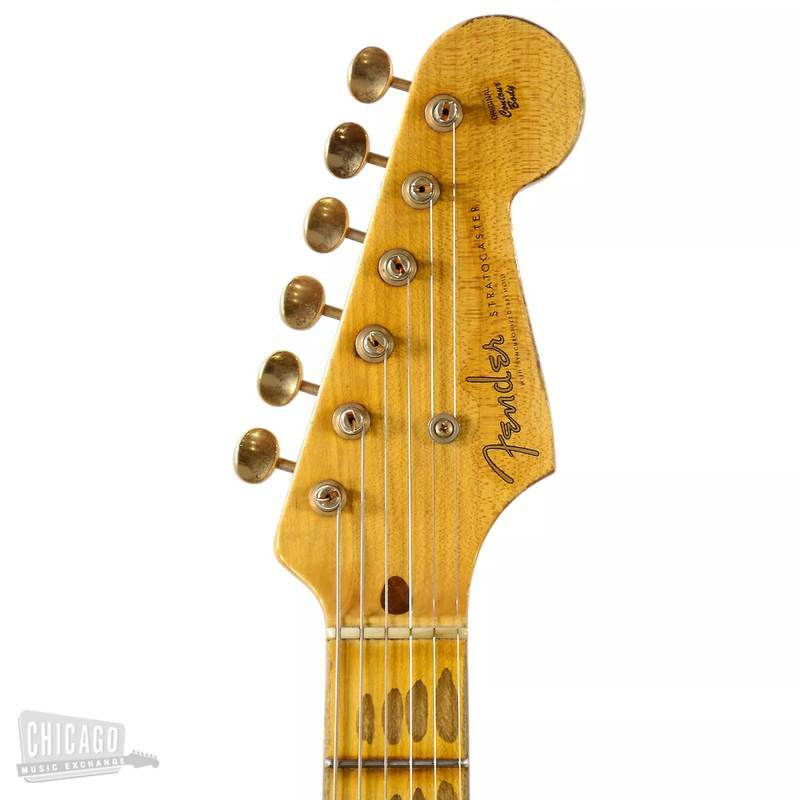 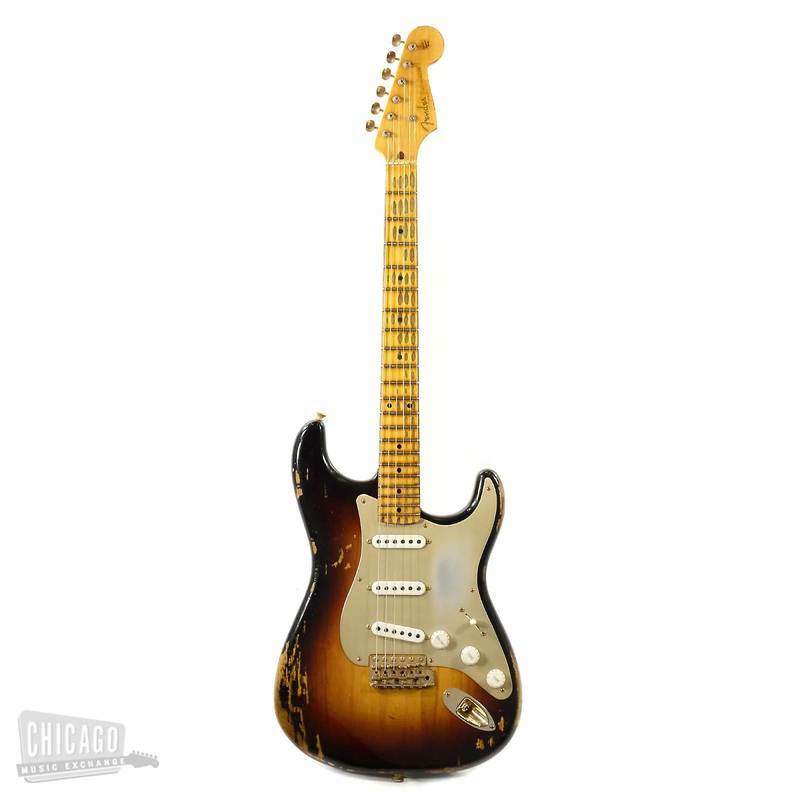 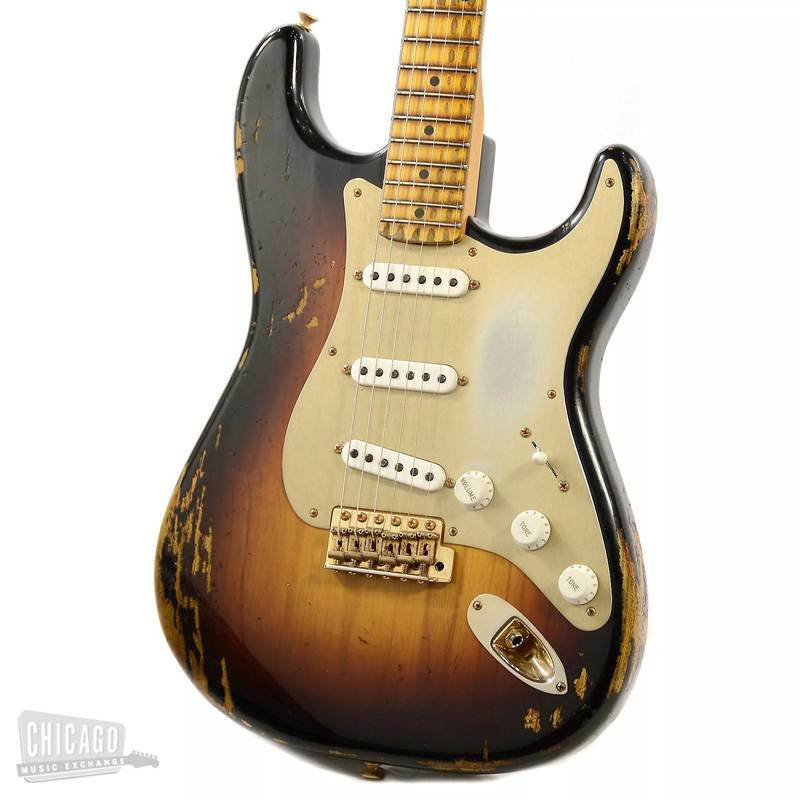 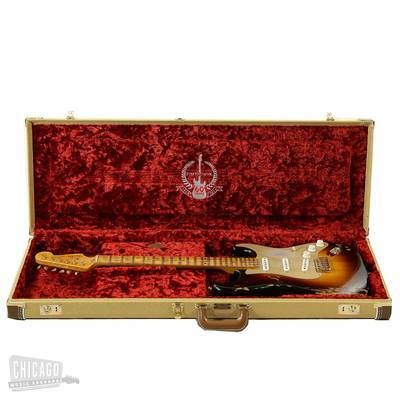 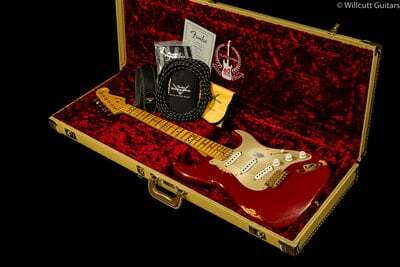 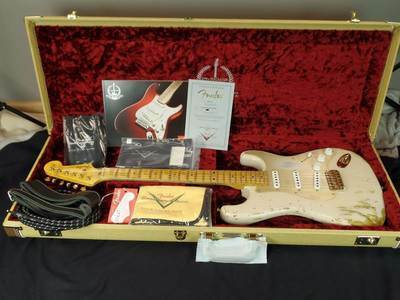 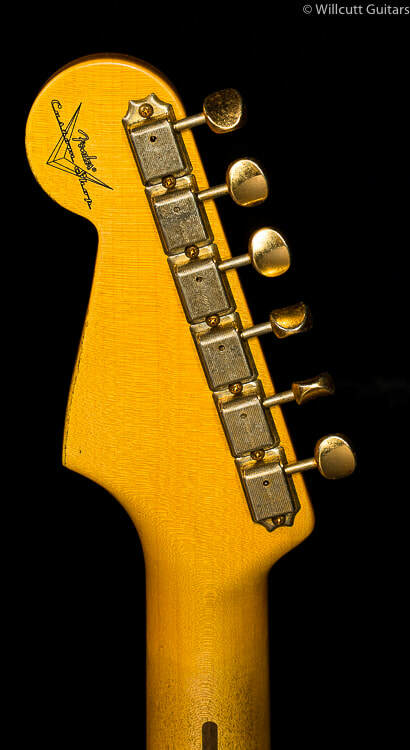 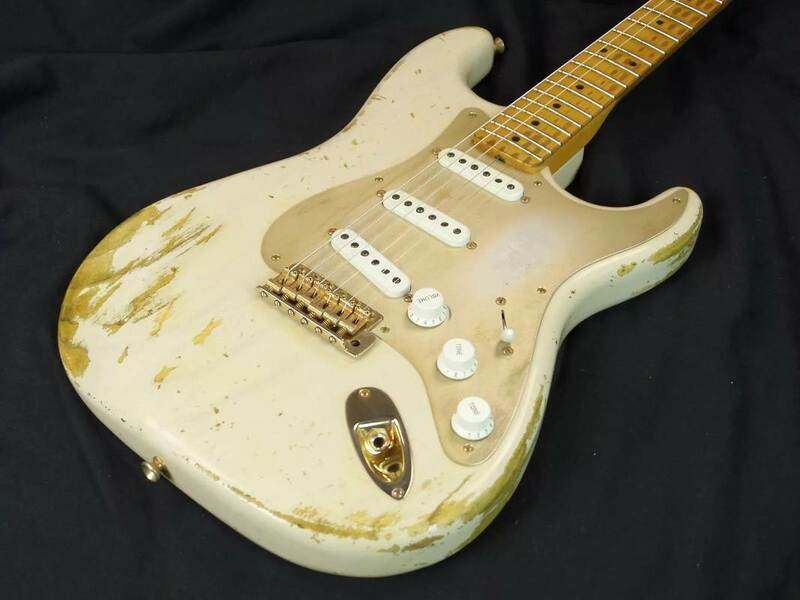 The 2014 Limited Edition Golden '50s 1954 Stratocaster harkens back to a momentous period of Fender innovation. 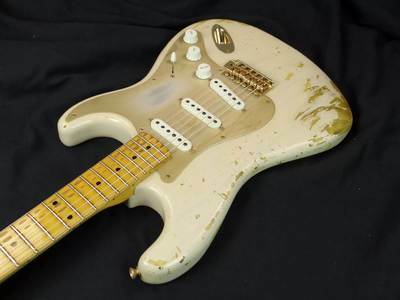 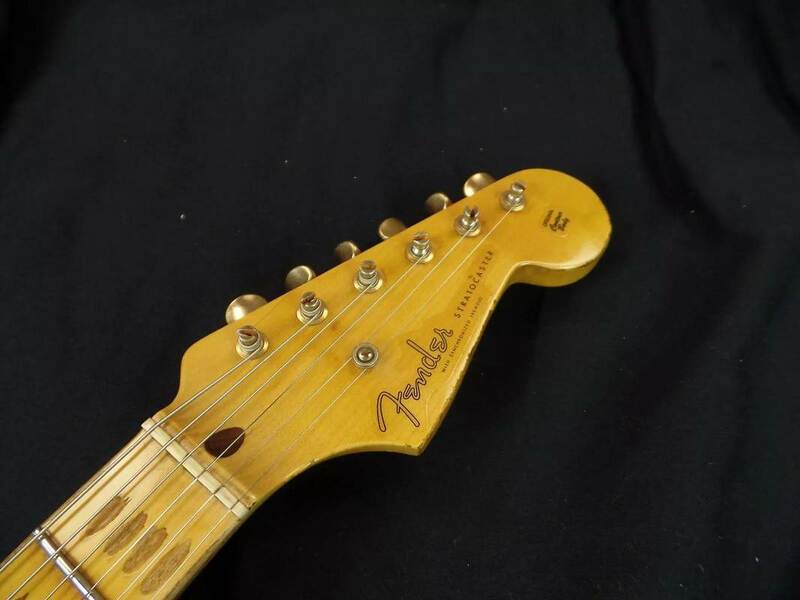 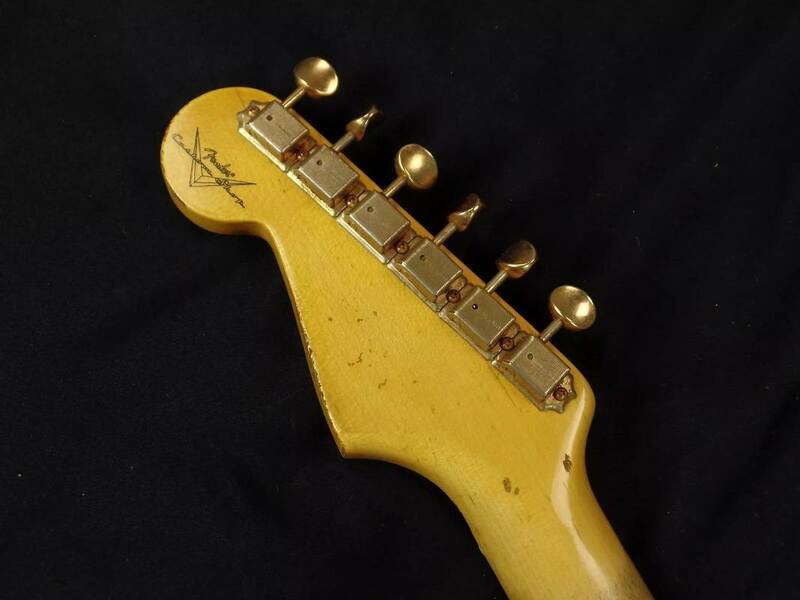 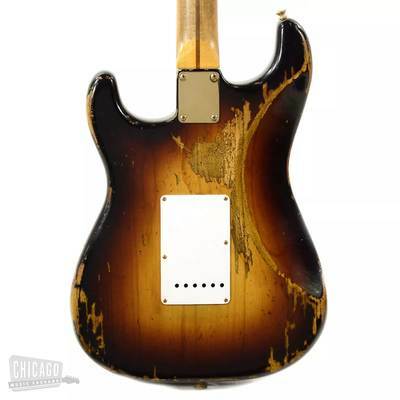 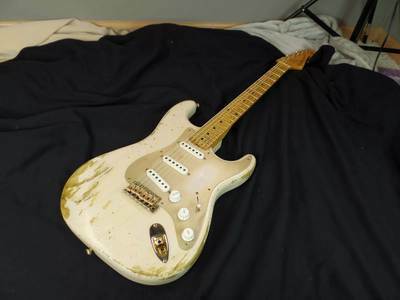 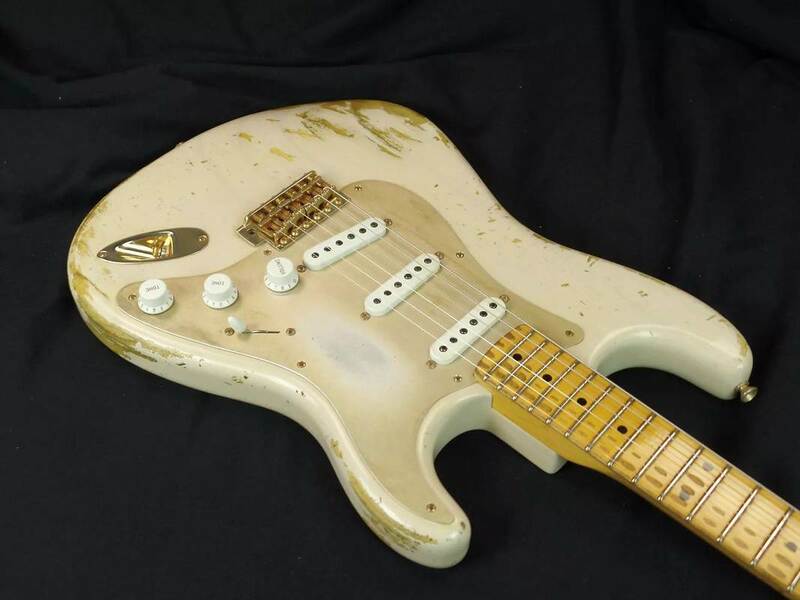 The year 1954 marks the very first production year of the Stratocaster, which profoundly influenced the exciting new playing styles of its day. 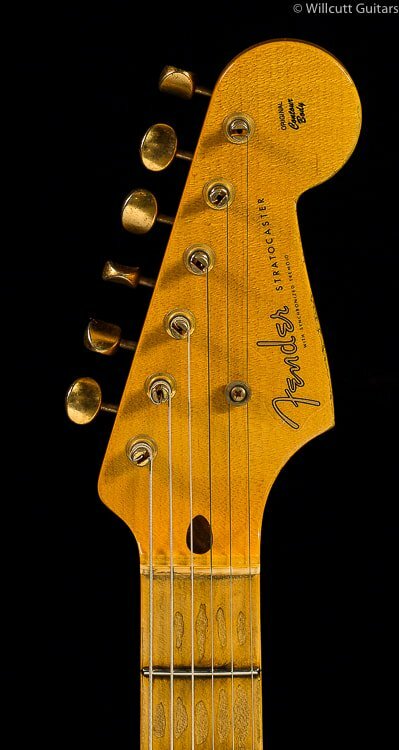 To commemorate the 60th anniversary of this historic guitar, Golden '50s reimagines the allure of the original Strat for the modern player. With premium features, custom colors and a meticulous relic treatment, each one is a true masterpiece, a celebration of our first true "custom-build" instruments and a nod to a remarkable era of exuberant creativity. 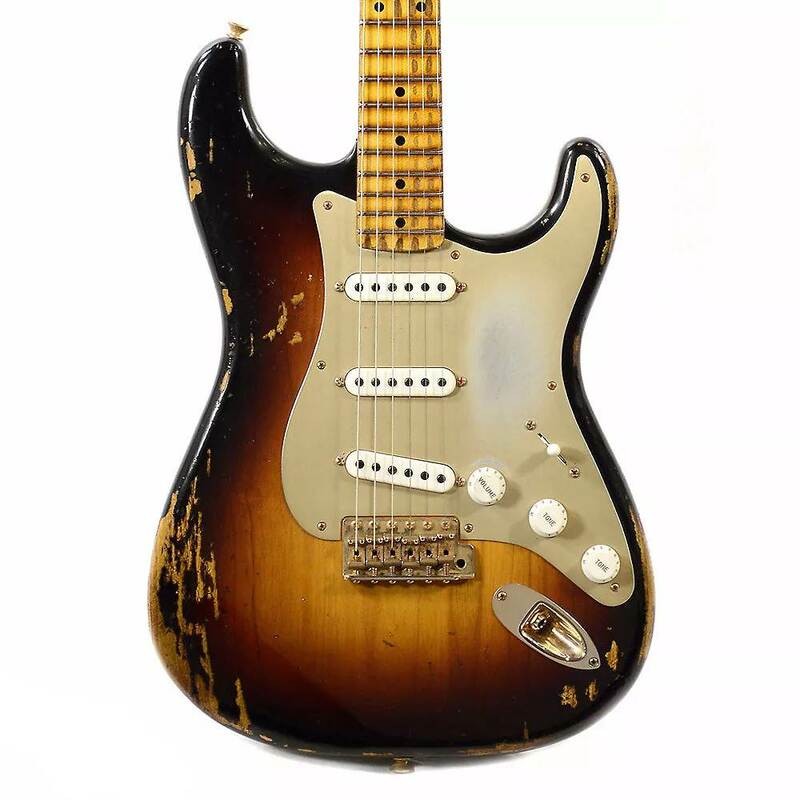 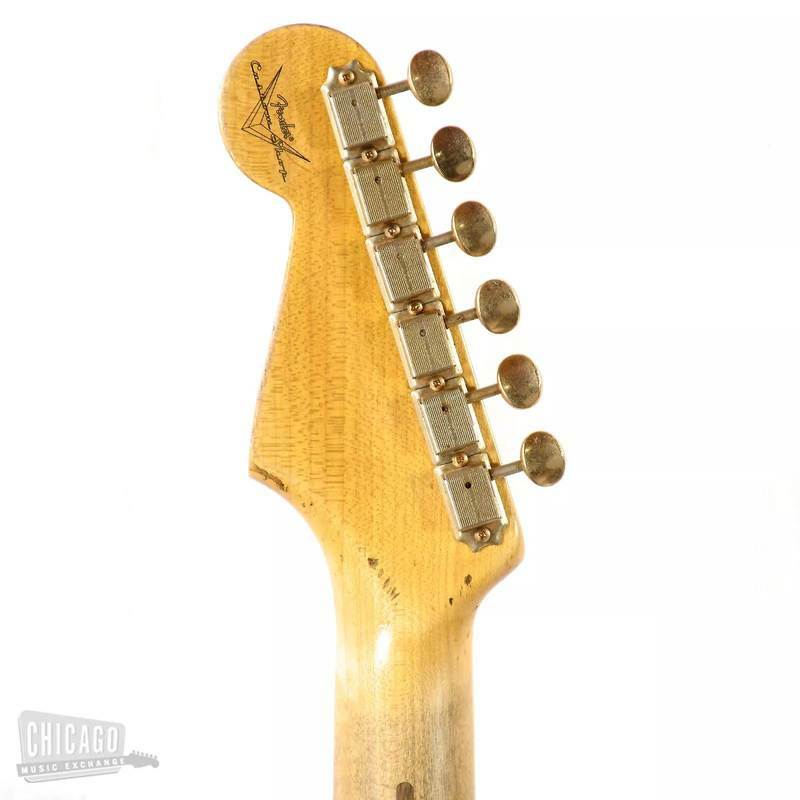 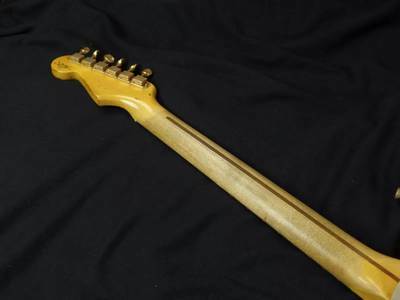 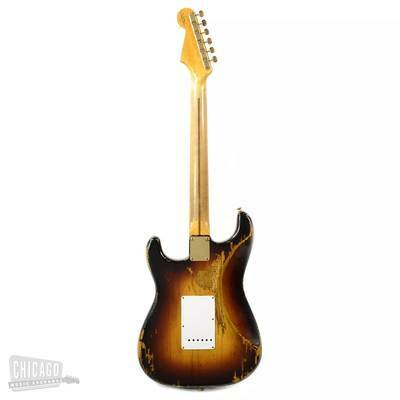 Features include a distinctive single-ply gold anodized pickguard, a 1954 "U" shaped maple neck with modern 9.5” radius fingerboard and tall 6105 frets. 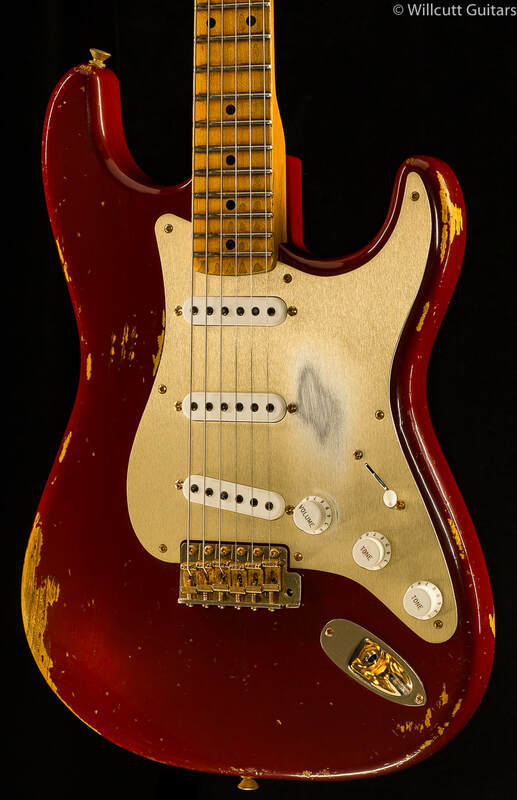 Three single-coil 1954 Stratocaster pickups deliver the sweet singing voice of the originals, complete with vintage-correct polystyrene covers. 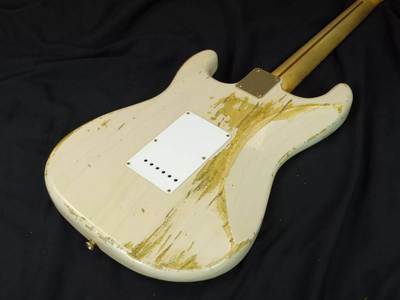 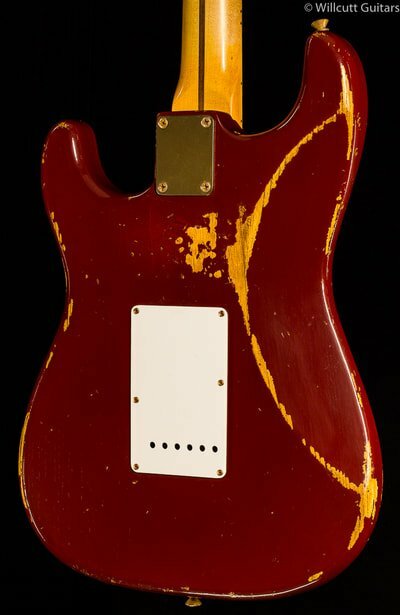 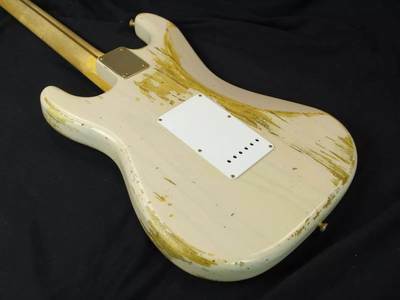 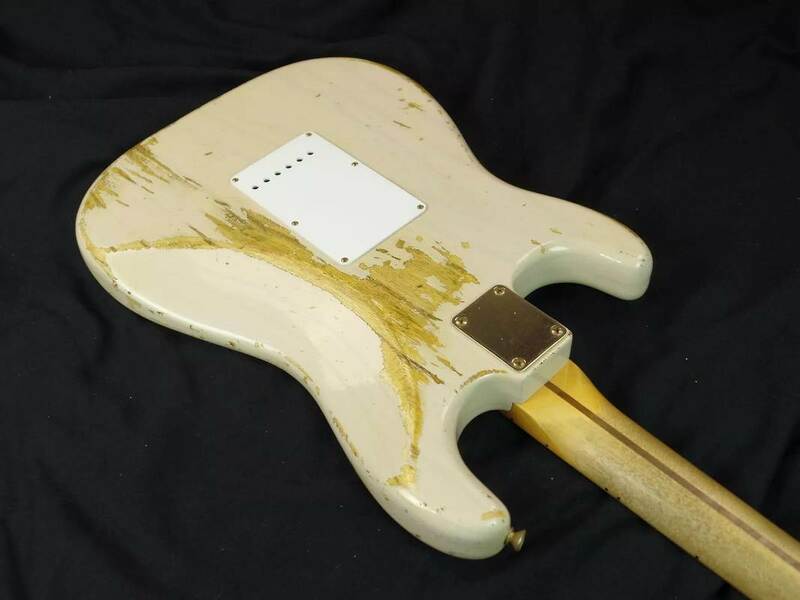 A heavy relic treatment has been dutifully applied to the body and neck, replicating the genuine wear and tear of a true vintage instrument. 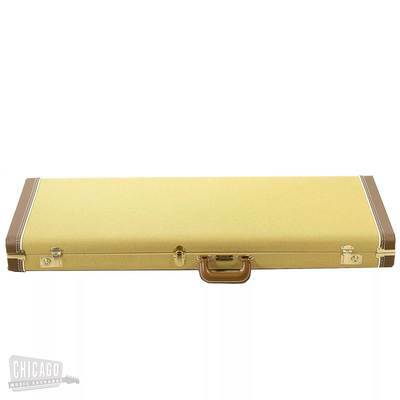 A synchronized tremolo bridge with six "patent-pending" saddles, vintage tuning machines and gold hardware round out the feature set. The guitar is available in three custom colors: Cimarron Red, Dirty White Blonde and two-color sunburst.